When Jessica O'Dwyer and her husband fell in love with the online photo of a Guatemalan baby girl, they had no idea of the twisted journey that awaited them. Their eagerness to become adoptive parents lured them into signing with an inept LA agency whose slapdash methods left the couple fearful that their baby would never come home. At that point, Jessica made the brave decision to move to Guatemala, learning how to care for baby Olivia, while at the same time struggling to break through the bureaucratic indifference that stood in the way of making Olivia hers forever. Kirkus Reviews calls this memoir, "a scathing critique on a foreign adoption system and one woman's attempt to fight it." Author Joyce Maynard describes Mamalita as a book about the nature of parenthood, "the fierce love and loyalty that makes it possible for us to do more than we ever knew we were capable of." You may have a good cry when you get to the end; I certainly did! You can learn more about Jessica's story on her blog. How has being a mom or dad drawn out your inner strength? Or if you're not a parent, what important relationship or situation has demanded that you act with courage? 1. Follow our blog (publicly) and leave another comment (or let us know if you already are). 2. Subscribe to the Mama Memo and leave another comment (or let us know if you already are). 3. Blog about the giveaway, and link back here. Post your blog entry before you comment. 4. Add the Mama Manifesto button to your sidebar. 5. 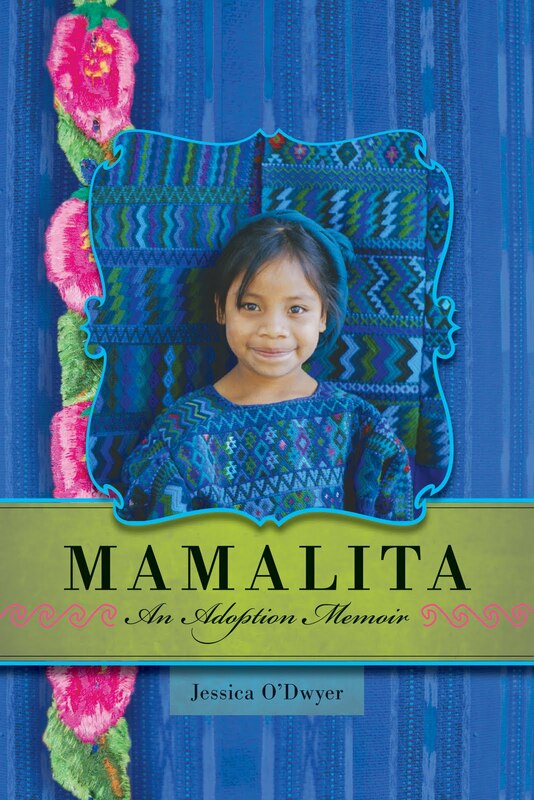 Follow us on Twitter and Tweet about this giveaway: "Giveaway- Win a copy of Mamalita: An Adoption Memoir from @MamaManifesto. Enter at mamamanifesto.com"
6. Become a fan of Mama Manifesto on Facebook by clicking the button on the left. 7. Become a fan of Mamalita: An Adoption Memoir on Facebook! This giveaway will be closed Saturday at 11 p.m. and the winner will be announced next Sunday! I am not a parent, but care daily for a group of formerly homeless and/or abused children while their mothers take classes to become self-sufficient. These children give me the opportunity to see a new side of myself and of humanity. They call me daily to act with great courage to break through their cries, behavior, and lack of ability to handle their situations, to just LOVE them above all else. My husband and I want to have and adopt children in our future, and working with and loving these children has solidified in my mind that I do want to adopt, and that maybe, with the grace of God and the experiences I have now, we will be able to handle whatever our adopted child(ren) come to us with. Being a mom has drawn out my inner strength from Day 1. I do many things that I couldn't have handles before my son came along and gave me that extra motivation. One example is living on little to no sleep or keeping up with work during a really busy time while my son is home sick for an entire week. i've never been patient...God has used parenting to teach me patience...as we had 1 child...then 2...then 3...then 4...and now as we wait and wait and wait for our 2 boys in africa. This book sounds inspirational and educational, and I'd love to read it. To answer the question - parenting has drawn out my inner strength because it forces me to focus on someone else. Life is no longer all about me; it is mostly about them, and as a parent, I am okay with that. I've become concerned not only about my children, but all children, and I find strength in that. I was a single mom and raised my daughter alone. Her father was a "Disneyland Dad", not a bad person but he left all the practical issues to me. He was undependable. I was the one who took her to the doctor and dentist, went to the teacher conferences, washed pukey sheets at 3:00 a.m. I had almost no time for myself. Before she was born, I read a book every week. In the years afterward, I was lucky to finish a book each month. My church had a mom's group that I longed to join, but it met during business hours, when I was at work. I hated my job, but the benefits were so good that I couldn't afford to leave. I managed to carve out as good a life for us as I could afford. My daughter now tells me that her earliest memory is sitting on my lap while I read to her. I made raising her my first priority. I taught her the survival skills she would need as an adult. When she moved into her first apartment, she was appalled at how casually her roommates grocery shopped. "They just throw stuff into the cart and don't even compare prices or use coupons," she said. Today, she is a self-supporting young adult, in a committed relationship, with many friends. She never had a drug or alcohol problem, or got into trouble at school. She is a kind, compassionate young woman and I am very proud of her.